If you love spanakopita but don’t like the effort of layering lots of phyllo with all the work that goes into that, then this vegan spinach borek is for you. 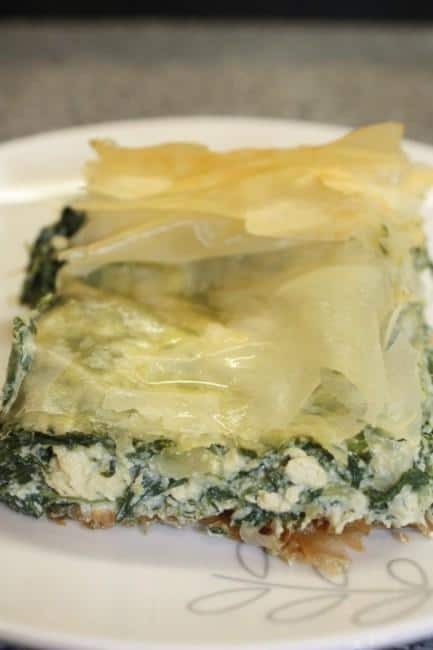 Vegan spinach borek has all the lovely crispiness of phyllo contrasting with the creamy cheese inside, but is much quicker and easier to make than spanakopita. I think of borek as a savoury Turkish breakfast pastry but Wikipedia tells me it’s actually a family of filled pastries found around the Balkans, Mediterranean, Eastern Europe and Western Asia. 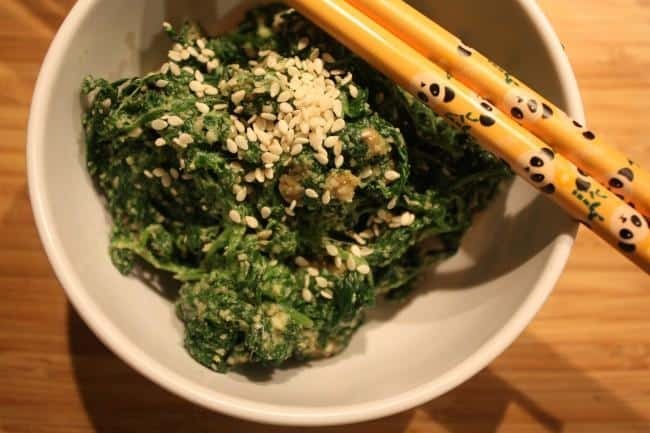 You can use spinach or any other leafy green you like. I used summer purslane, a local, seasonal vegetable I picked up at Food Assembly. You can also use any vegan cheese you want, but I’d suggest a creamy one. I used Tyne cultured cashew cheese (readers in the UK, look for Tyne; readers in the US try using a Miyoko’s Kitchen cheese), but I imagine the ricotta from my spanakopita recipe would work well, too, or your favourite creamy vegan cheese. If you’re in London, head over to Cheezelo near Euston for their almond, dill, lemon and garlic fresh cheese (more on this place in an upcoming post!). 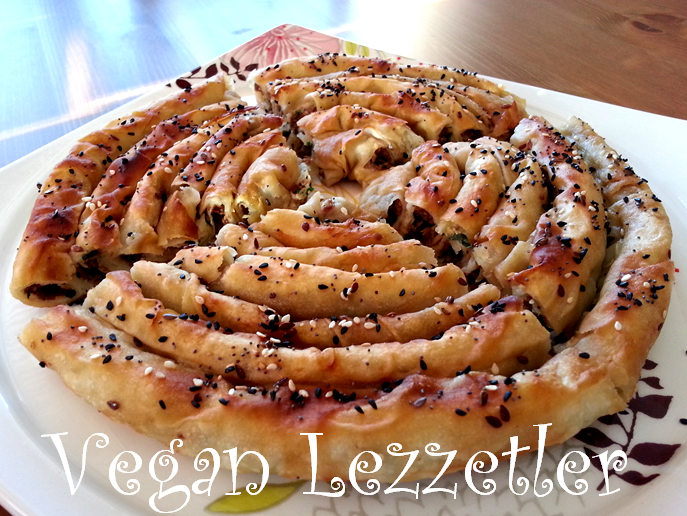 My vegan spinach borek is sigara style, meaning it’ss formed into long, cigar-like rolled shapes, but you can also make complicated swirling, cinnamon-bun like designs. However this just looks like it would require more time and effort and I wanted something quick. Some people fry their borek, but I opted to bake mine. Not out of health concerns, but because baking might take longer, but it’s easier than faffing about with a wok full of hot oil (how I fry things). 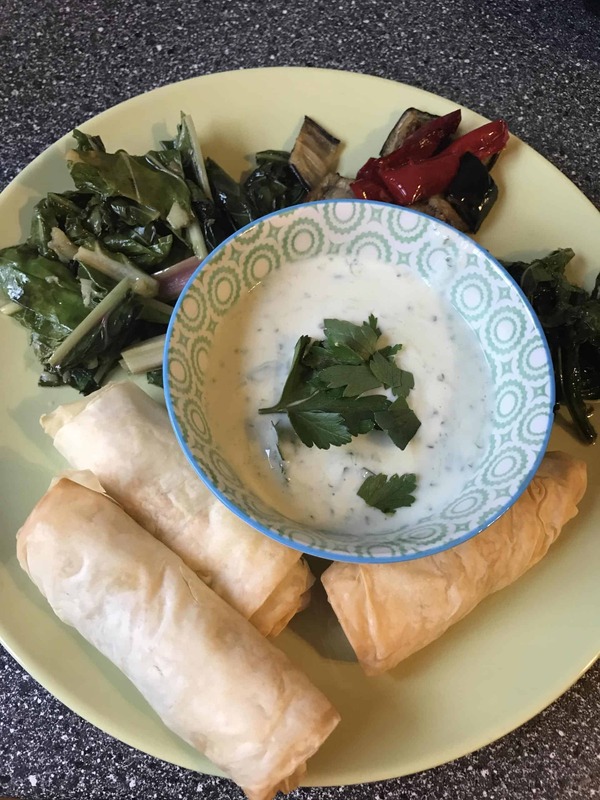 Serve your vegan spinach borek with a refreshing yoghurt dipping sauce like vegan tzatziki (recipe here). Crispy phyllo pastry stuffed with spinach (or other leafy greens) and rich cashew cheese. Place one pastry sheet on a plate. Brush with melted margarine. Layer another pastry sheet on top of it and brush with margarine. 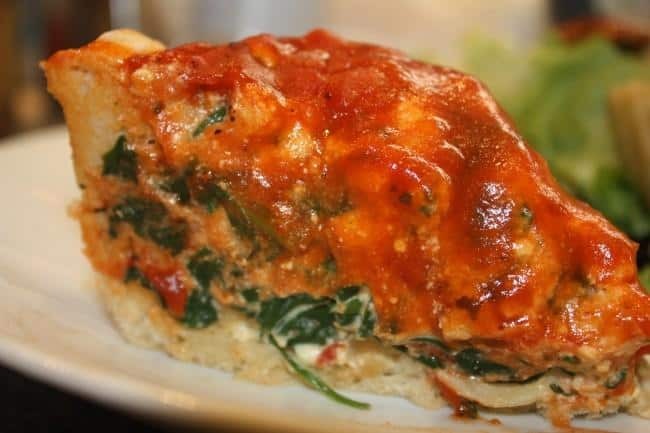 Place a dollop of cheese and a few leaves of spinach or other leafy green towards the bottom edge, leaving space to roll. Fold the sides over and then roll up, like a burrito. Make sure to seal the pastry together, using a little drop of water if needed to seal the edges. Repeat with the other sheets. You should end up with 6 sigara borek, each made with 2 sheets of phyllo. Place the sigara borek on a baking sheet that's lightly greased or covered in parchment paper. Bake 25 to 30 minutes or until golden. Serve with vegan tzatziki dipping sauce. Serve 1-2 as a starter or side or serve 3 sigara with dipping sauce and a simple salad of chopped tomato, cucumber, parsley and a lemon-olive oil dressing for a main. Almost all brands of phyllo pastry are vegan so just check the ingredients. You won't be using the whole package so you can just re-freeze the rest of the phyllo, or make some vegan spanakopita or baklava.